What a simple way to make a big, positive statement! 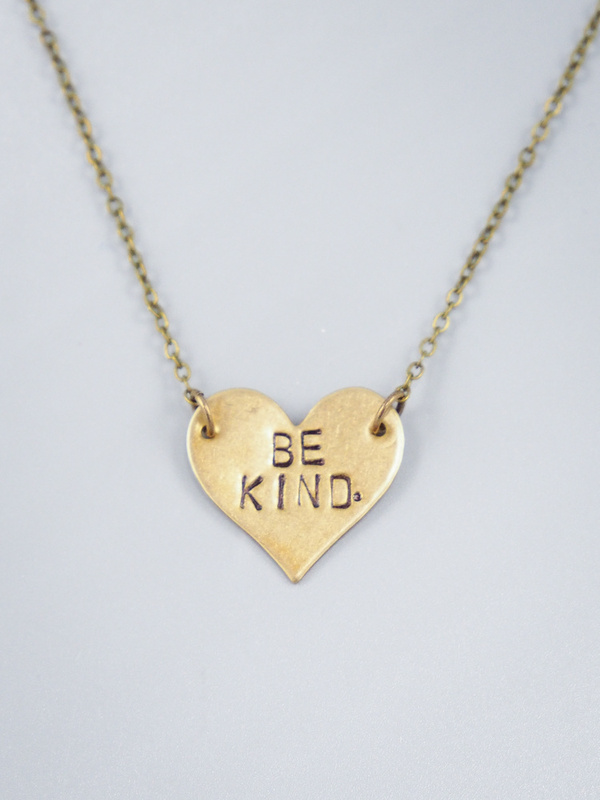 This beautifully hand-stamped "Be Kind." 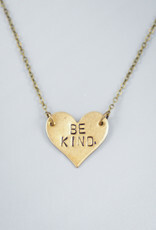 necklace has a 16" chain and approximately .75" x .75" heart. Made by our dear friend, Mishakaudi Jewelry, in the USA.